1. Who is this great man? 2. What is this strange rocket behind him? 1. 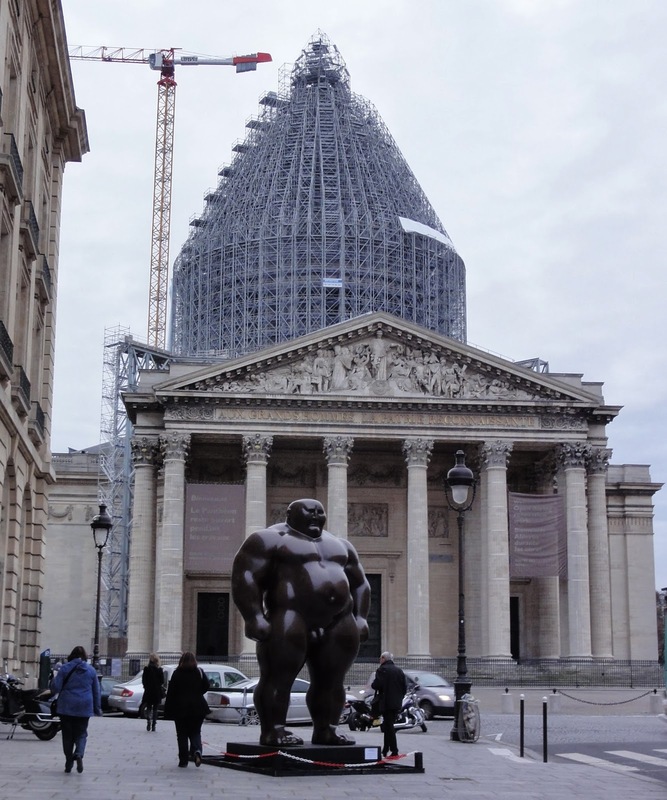 This great man is a "Mongolian", a statue created in 2009 and offered recently by the artist Hong Biao Shen to the University of Paris La Sorbonne, temporary exposed in the "rue Soufflot", the street in front of the Pantheon (Soufflot was the architect of the Pantheon). 2. The Pantheon, surrounded by huge scaffolds. The building is currently under restoration. If you click on the picture, you will read the inscription "AUX GRANDS HOMMES LA PATRIE RECONNAISSANTE" which means "To the great men the grateful homeland". 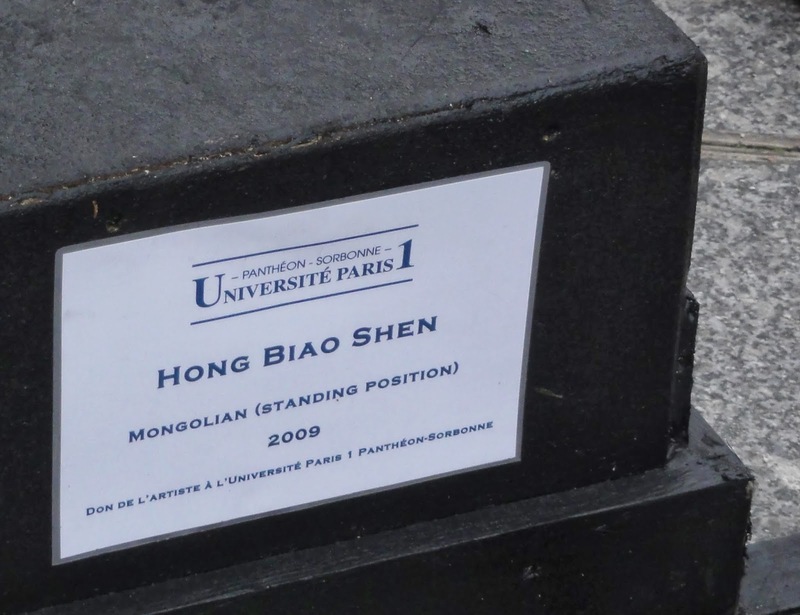 The Mongolian, another great man? Well, the Great Men are buried in the Crypt. There you can see the tombs of many very honorable persons, as Victor Hugo, Voltaire, Rousseau, etc. Only two women... Marie Curie and Sophie Berthelot the wife of the chemist Marcellin Berthelot (buried together). 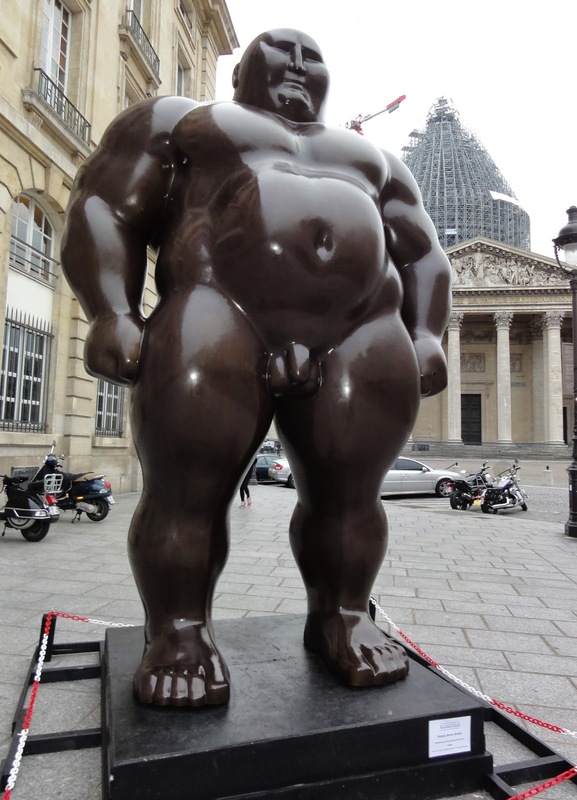 Yes, I thought it was a Botero's statue the first time I approached it.